With the advent of YouTube, many people have found a new medium for their work. It has become a platform for numerous scientists, entertainers, animators and educators to express themselves. YouTube has become a dominant source of news, information and entertainment. But it has also become one of the main sources of propaganda and disinformation. And with many of these individuals creating a cult following and garnering literally of thousands of video views within a day, it has become harder for the casual viewer to separate fantasy from reality. One of the earliest channels on YouTube was a group of entertainers calling themselves CollegeHumor. Since arriving on YouTube in 2006, it has uploaded over 3,000 comedic videos and has over 12 million subscribers at the time of writing. A recent series of videos by CollegeHumor is titled Adam Ruins Everything (Fig. 1). It is hosted by Adam Conover and through the collaboration with CollegeHumor and truTV, it has evolved into its own television show. The series aims to debunk common misconceptions in everyday life that have generally been assumed to be factual, and is presented in a satirical manner. The premise basically goes like this: a character voices support or disdain for something, upon which Adam Conover appears out of nowhere and takes them on a magical journey explaining why they are wrong. To its credit, the series has done a good job of debunking some actual common misconceptions. But such episodes are few and far between. For research purposes, I did a search on this series and was astonished by the amount of criticism and backlash that many episodes have received. Often it turns out that Conover’s arguments are based on misrepresenting and even cherry-picking his own references. A key example is his episode Adam Ruins Going Green, which included a segment attempting to prove that electric cars are not as eco-friendly as generally believed. This segment became the subject matter of a critique by Sean O’Kane in The Verge [S. O’Kane, 2016]. He showed that Conover had selectively cherry-picked his way through his references to create a false premise against electric cars. If you buy an electric car today, you’re just shifting your fuel source from the gas pump to a power plant. And if those power plants burn coal, driving an electric car can actually put more CO2 into the air than a hybrid. However, as O’Kane explained in his article, this argument assumes the power plant is running off coal. Due to the decline of coal as a fuel source, some cities use solar power plants or wind farms – which produce substantially less CO2 emissions than coal-driven power plants. And of course, if the city runs off a nuclear power plant, the carbon footprint is zero, because nuclear power stations don’t produce CO2 emissions at all. Conover responded to his critics in a so-called correction episode titled Emily Ruins Adam [Fig. 2], which aired on 29 August 2017. But he made no attempt to address any of O’Kane’s criticism. He instead danced around it and attempted to shift his errors onto the interpretations of his viewers. Conover stated: “If that many people misread our argument, we should have done a better job explaining it.” This is not a matter of explaining an argument better or people misreading the argument. This is a simple matter of the argument being based on lazy research. As for further inaccuracies, in one episode on 30 September 2016 Adam Conover tries to make an argument that building a wall along the US Mexico border would be too expensive. He cites a CNBC article that puts the estimated cost at between $15 billion and $25 billion. To which he adds that the wall would cost “as much as twenty Hoover Dams or NASA’s entire annual budget”. His statement is immediately followed by a photo-manipulated animation of an astronaut walking on the Moon, bumping into the wall and falling over (Fig. 3). Figure 3: "That's one small step for man, one giant wall for no reason". Taking these figures first, an amount of $15 to $25bn may sound like an insurmountable amount of money and NASA is commonly believed to have a substantial budget. But even $25bn only amounts to a rather small percentage of the US government’s entire budget. According to a 2015 Business Insider article, NASA’s budget was $17.4 billion a year. By comparison, the annual budget of the entire US military was $601 billion a year [S. Gould & J. Bender, 2015, Fig. 4]. This is more than enough to pay for the US President’s proposed wall. However, that does not take into account the historical financial context: the total cost of the Apollo program was spread over a 14-year period between 1961 and 1975 – 14 years’ of annual budgets to play with. While Conover specifically said "NASA’s entire annual budget", it’s worth noting (perhaps not coincidentally) that the Apollo program’s entire budget was in the order of $25bn [J.N. Wilford, 1969]. I can only assume that Conover saw this price tag and thought "Hey, Apollo cost as much as the wall! Let’s include a moonwalk animation!" But that figure was based on the 1960s dollar [J.N. Wilford, 1969]. Today, after adjusting for inflation, this would be about $200bn [S. Anthony, 2014], far in excess the $25bn figure he quotes for the proposed wall. This clumsy Apollo reference is not only out of financial context it has also made his argument very misleading. But then just over a year later Adam Conover returned to the Moon and Apollo in an episode that aired on 10 October 2017 in which he claims to explain why the Moon landings couldn’t be faked [A.R.E. 2017]. And this time, as if to confirm the views of his critics, Adam ruins his own credibility. The episode titled Adam Ruins Conspiracy Theories starts off with Adam Conover discovering that his girlfriend character is a vivid supporter of Apollo Moon landing conspiracy theories. Conover argues that faking a lunar landing would be more difficult than going to the Moon for real. In an attempt to prove his point, he takes his girlfriend back in time to Stanley Kubrick’s film studio during production of the fake Moon landing footage. SCHUBIN: Using image forensics, I can tell you that the light source we see in the Moon footage is actually parallel sunrays with no diffusion. If you look at the photos from the Apollo mission, you can see that all the shadows are parallel because the light source is 93 million miles away. CONOVER: But if you try to recreate that same photo using studio lighting, the shadows diverge. There are two major problems with the above statement. Firstly, as an example of “parallel shadows” in the Apollo photos, Conover presents AS11-40-5949 (Fig. 5). But the photograph in question doesn’t have parallel shadows. Despite drawing straight lines over the top of the shadows belonging to Buzz Aldrin, the retroreflector and the seismometer in the foreground, Conover completely ignores the shadows cast by the Lunar Module and American flag in the background – which are clearly diverging. And amusingly, despite Conover’s attempt to sway his viewers by drawing lines over the top of the image, it is possible to see the shadow cast by the retroreflector is actually somewhat diverging away from the shadows cast by Aldrin and the seismometer. In addition, Conover doesn’t even show the full image. The photo he presents has been cropped at the bottom. The continuation of the image clearly shows rocks in the lower foreground diverging towards the bottom of the frame. (Fig. 6). Conover simply ignored the background shadows, cropped out the obvious diverging rock shadows in the foreground, and then pretended the shadows were all parallel when he knew they were not. Secondly, shadows diverging away have been cited as evidence for exactly what Conover is arguing against! Bennett & Percy  cited Apollo 14 images AS14-68-9486 and AS14-68-9487 as evidence that a close and large light source was used (Fig. 7, Fig. 8). The diverging of the shadows cast by the rocks in the right foreground and the Lunar Module is immediately apparent. Interestingly, this photo became the subject matter of a segment on the MythBusters show ten years ago. Presenters Adam Savage & Jamie Hymen concluded through the use of scale models that the divergence was due to rough topography, but they made no attempt to try and determine if the terrain was indeed the culprit. In fact, if you look at the photo closely you can see quite clearly that the shadows cast by the rocks in the background on the same level terrain as the LM are diverging off in the same direction as the right foreground shadows (Fig. 9). Having concluded that the lighting in the Apollo photographs is parallel sunlight casting parallel shadows, despite overwhelming evidence to the contrary, Conover and Schubin then elaborate on what they think would be necessary to pull off such lighting. The following excerpt is taken from the interview. Please note that the “[…]” in the following transcript indicate sections where skits involving ‘Kubrick’ and his stagehand bickering have been edited out. SCHUBIN: Back in the 60s, the only way to create that effect would be to build a wall of millions of laser lights so close together they’d be like pixels on a TV screen. […] But lasers back then were big and costly, so rigging together that many at that size would have required an enormous apparatus that probably would have cost more than the entire Apollo project. […] And in those days, the only lasers that were practically available were red. CONOVER: Which means that colour photos we had from the Moon landing, would have been impossible. SCHUBIN: Now today, we could recreate the correct lighting with computer graphics. CONOVER: But in 1969, those didn’t exist. This proposal is both nonsensical and contains at least two logical fallacies. First is the Modal Scope or Fallacy of Necessity, the logical fallacy in which an unwarranted degree of necessity is placed in the conclusion. And the second is the Fallacy of Omission, the logical fallacy in which important information – often counter-information – is ignored in an attempt to misdirect. The inability to recreate the sunlight on the Moon without millions of lasers and CGI colour correction should come as a surprise to Gale Tattersall, the Director of Photography of the 1999 HBO 12-part series From the Earth to the Moon. To shoot the lunar scenes in this television production, Tattersall used an array of twenty 10K xenon spotlights shining into a convex mirror six-feet wide, which in turn reflected this light onto the gigantic moonset (Fig. 11). This lighting rig allowed for a perfectly illuminated fake lunar surface and even parallel shadows, thus directly contradicting Schubin’s argument. While this television series was produced thirty years after Apollo 11, the technology used to simulate the lighting was not outside the realm of 1960s technology. Xenon spotlights were used by the US military during the Vietnam War, which took place during the Apollo program. The military used these searchlights on their tanks and helicopters (Fig. 13). Largest of the lights is the Airlight, a 20-kilowatt searchlight for air and ground use that has an output of some 600,000 lumens. In tests, it was used to light an entire football stadium with enough intensity for reading purposes. Five hundred 100-watt light bulbs with a power input 2½ times as great would be needed to equal it. [The] Secret of the new searchlights, made by Electro-Optical Systems, is compact xenon arc lamps consisting of thoriated-tungsten electrodes inside a quartz envelope pressurized with xenon gas. Extremely high arc current, passing through a gap measured in millimeters changes the xenon to a brilliantly luminous plasma with qualities close to Sunlight. And that is just one of these xenon arc lamps. Suppose we have an entire array of them. There is clearly no need for millions of laser lights and no need for CGI. The method and equipment used by HBO and Tattersall was readily available in the 1960s. Interesting, the HBO moonset consisted of powdered granite as the lunar soil. Granite has an albedo or reflectivity of around 30%, far in excess of the 4-12% albedo of the Moon. This excessively reflective fake moonscape would help illuminate the shaded sides of objects without the aid of secondary fill lighting. Had HBO used powdered asphalt or even powdered basalt, materials with the same reflectivity as the Moon, the shaded objects on set would be pitch black [Y. Elkhov & L. Konovalov, 2009; J. White, 2014]. SCHUBIN: I’ve asked my colleagues in forensics and movie production and given the parallel light rays and the detailed color photos, we just cannot think of any way they could have faked the Moon landing with the technology they had at the time. Who are these people that Schubin refers to? Give me names. A way to fake the sunlight on the Moon with 1960s technology can be thought up by anyone who has seen The Making Of featurette included on the From The Earth to the Moon DVD box set, or taken five minutes to read the 1968 Popular Science article cited above. The record clearly shows that faking the sunlight on the Moon with 1960s technology was entirely possible, and no serious forensics analyst or film historian would propose using millions of lasers and CGI colour correction. The logical fallacy committed here is called False Attribution. The logical fallacy of appealing to an unsubstantiated, unnamed or even fabricated source in support of an argument. Still, giving him the benefit of the doubt, I wanted to contact Mark Schubin to ask how he reconciled his statements in light of this information. But the only contact information I could find was dead and he couldn’t be reached for comments. The crux of Conover’s argument and the only original thing he had to say about Apollo is clearly based on a flawed assumptions, omissions and is completely unnecessary. Maybe that’s what they want you to think! What if NASA secretly created computer graphics and just kept it from us for forty years!? We just saw in the previous segment that there was no need for computer graphics or lasers to fake the sunlight on the Moon. An array of xenon arc lamps shining into a convex mirror would do the trick – it worked for HBO. And no serious Moon landing hoax proponent would propose using CGI in the 1960s. Ralph René for example stated repeatedly in his book NASA Mooned America that computer graphics didn’t exist in the 1960s. The first motion picture to use 3D computer graphics was Futureworld in 1976, while more photorealistic CGI came later, in the mid-1980s. The first motion picture to use CGI was Young Sherlock Holmes in 1985 (Fig. 14). And to put the limitations of 1960s computers into perspective – the first hard drive available, the IBM 350 RAMAC, was the size of a large refrigerator and only held 5MB of data (Fig. 15). A typical Sega Mega Drive or Super Nintendo cartridge of the 1990s maxed out at 4MB, and I think we’re all familiar with the low resolution and how pixilated those graphics were! (Fig. 16). Few would be stupid enough to propose using CGI to fake the Moon landing imagery. Having his girlfriend character propose such a thing actually says more about Conover than it does about conspiracy theorists. Often the characters that Conover takes on his “magical journeys” serve as little more than a literal personified insert for his strawman arguments. A strawman argument is the logical fallacy of replacing an opponent’s actual argument with a distorted, fabricated and misrepresented version of said argument. Debunking words he put in an opponent’s mouth, rather than what the opponent actually said – a repeat tactic used in many of his episodes. In this case, Conover uses this strawman as a springboard to jump into a topic completely unrelated to the actual faking of the Moon landing. CONOVER: An astronomical number of people would have had to keep that secret [NASA’s alleged invention of CGI]. Like other 400,000 NASA employees; […] scientists from Australia, Spain and England who said they independently picked up the Moon landing transmission from space; […] and the Russians, our space race rivals who had every reason to prove us wrong. Figure 16: Sonic the Hedgehog on Sega Mega Drive. And just why would any of the people mentioned above need to be involved in the actual faking? Never mind know of NASA’s alleged invention of CGI. The above statement is based on many logical fallacies and misrepresentations of his own references. There is no need to involve thousands of individuals. The only people who needed to be in the know were those actually faking the Moon landings and the most senior officers at NASA. The rest do not need to know. Conover’s claim can be broken down into three sections. CONOVER …over 400,000 NASA employees. This statement is immediately followed with a skit of Stanley Kubrick asking a Mission Control Center (MCC) technician seated at a console and a female NASA secretary to keep quiet, who immediately laugh him off. Yet another Modal Scope fallacy. There were two groups of NASA associates involved with flight data and telecommunications. The MCC technicians and the Manned Space Flight Network or MSFN. The latter were involved in the actual reception of transmissions from Apollo, more on that in the next section. The MCC technicians were fed flight data, voices and television pictures over the land lines from the MSFN and made decisions based on the readouts on their screens. These technicians didn’t need to know or care where the data came from. For training purposes, the MCC technicians were sent simulated data over the land lines, rather than actual flight data. In the late 1960s our simulation technology had progressed to the point where it became virtually impossible to separate the training from actual missions. The simulations became full dress rehearsals for the missions down to the smallest detail. The simulation tested out the crew’s and controller’s responses to normal and emergency conditions. It checked out the exact flight plan, mission rules, and procedures that the crew and controllers would use for a later flight. KRANZ: The simulations were so real that no controller could discern the difference between the training and the real mission. Due to the realism of the practice simulations and the way data was handled between the MSFN and MCC, there is an argument to be made that the MCC technicians could be fooled by simulated data and thus need not be in on the conspiracy. Other people who need not know are the various contractors and the like who worked on individual components, and manufactured and tested these components to NASA’s specifications. One company built the spacesuit to NASA’s specifications; one built the cooling system to NASA’s specifications; another supplied engines and so forth. The only people seeing the full picture were the very senior individuals in possession of the full picture. An incident in the Mercury project puts into perspective just how departmentalised NASA is. The first unmanned orbital mission was Big Joe 1, a boilerplate test. The launch vehicle intended to send the Mercury spacecraft into orbit was the Atlas D. However, when the two vehicles arrived to be mated, it was discovered that the Mercury wouldn’t fit atop the Atlas rocket. NASA engineer Scott Simpkinson had to resort to taking half an inch off the heatshield’s thickness with an angle grinder! [D. Cadbury, 2006]. Case in point: if everybody at NASA and its contractors oversaw the whole picture, then surely something as simple as a module (manufactured by McDonnell Douglas) not fitting the rocket (manufactured by Convair) would not have occurred. A space program with everyone involved and intimately overseeing everything would not have resulted in a problem so ridiculous that it made NASA look like The Three Stooges. As a reference, Conover cites a Taylor Kubota article published in LiveScience, titled "How to Tell If Conspiracy Theories Are Real: Here’s the Math". I have no particular point of contention with Conover’s use of this article, since his statement appears verbatim in it. The article covers a study by David Grimes, in which he estimates the likelihood and longevity of a cover-up based on the number of people involved. Using NASA’s peak employment estimate of 411,000 people in 1965, Grimes estimates that an Apollo hoax would last less than four years – even if only 650 people were involved. Grimes’ conclusions, however, are flawed. Because they fail to take into consideration confirmed cover-ups that did involve thousands of people and were successfully covered up for decades. The old Soviet Union is a literal treasure trove of secrets. Since its collapse, a large number of cover-ups involving the Soviet space programs have since been revealed. Such cover-ups include the death of cosmonaut Valentine Bondarenko, who died when he accidentally set fire to his oxygen chamber, a disaster the Soviets kept secret for twenty-five years [D. Cadbury, 2006]; and the Nedelin Catastrophe, the launch pad explosion of an R-16 missile that resulted in the deaths of hundreds of Soviet scientists, engineers and military personnel. Including the commander in chief of the Soviet Strategic Missile Force Mitrofan Nedelin who oversaw the erection and fuelling of the rocket involved in the disaster. The Soviets claimed that Nedelin died in a plane crash. The true nature of his death and that of his comrades was not made public until 1989 – nearly thirty years after the disaster [Pittsburgh Post-Gazette, 17 April 1989]. By far the biggest cover-up within the Soviet Union, something that should be taken into consideration by all concerned with this issue of ‘the number of people in the know’, is the Soviet equivalent to the Apollo project (Fig. 18). The N1-L3 Moon program involved literally thousands of Soviet scientists and engineers. They had a huge five-stage rocket virtually the size of the Saturn V intended to send a LOK Soyuz and LK Lunar Lander on a flight to the Moon (Fig. 19). The Soviets made four tests of this rocket between 1969 and 1972 – each flight failed during the first stage burn (Fig. 20). After the failures and the subsequent cancellation, the entire project was covered up for thirty years. The Internet is alive with web sites detailing Apollo Moon landing conspiracy theories. There is almost nothing on the real Moon landing conspiracy – that of the Soviet Union. The Soviet Union had two huge secret projects designed to win the race to the Moon. The L1 project would send a Soviet crew around the Moon before the Americans, using a stripped-down Soyuz spacecraft launched by a Proton rocket. The L3 project would beat the American Apollo program to the lunar surface. The Soviets lost both races. In the case of being the first to send a man around the Moon, that loss was measured in days or weeks. Figure 20: It didn't end well for the Soviets' N-1 Moon rocket. It is important to note that Conover is fully aware of this Soviet cover-up. While Conover is quick to cite Grimes’ flawed study and try to get as much mileage as he can out of it, later when talking about the Russians he cites an 18 December 1989 New York Times article by John Noble Wilford. This article, titled "Russians Finally Admit They Lost Race to Moon", covers the Soviet Union’s official disclosure of the N1-L3 project and emphasizes in explicit detail how the Soviets covered up the existence of the program. After years of denial by silence and misinformation, the Soviet Union has now disclosed that in the 1960s it was indeed racing the United States to be first to send men to the Moon. American aerospace engineers returning from Moscow reported yesterday that they were shown for the first time a spacecraft that Soviet engineers told them was ready to go to the Moon in 1968, a year before the Apollo 11 mission made the first landing on July 20, 1969. The Soviets disclosed that repeated failures of a booster rocket delayed the program and eventually caused its cancellation in the early 1970s. At the time, Soviet officials either denied the existence of their own program or delivered evasive statements, and after the Apollo 11 success, they criticized manned lunar missions as risky and worthless. Soviet leaders insisted that their efforts all along had been centered on the goal of Earth-orbiting space stations. Pressure Seen as Budget Ploy. In July 1969, Mstislav V. Keldysh, president of the Soviet Academy of Sciences, said the Soviet Union had no immediate plans to match the Apollo exploits. ''We are concentrating wholly on the creation of large satellite systems,'' he said, Other Soviet officials said that was a reference to space stations. Political opponents of the Apollo project suspected the National Aeronautics and Space Administration and its allies of manufacturing the Moon race as a ploy for winning large appropriations. James E. Webb, who was the space agency's administrator through much of the decade, often warned that the Soviet Union was developing a new booster rocket for manned lunar flights. The criticism raised doubts that were never dispelled. In a television program marking the fifth anniversary of the Apollo 11 landing, Walter Cronkite reflected such a view when he concluded, “It turned out there had never been a race to the Moon”. But now, said Dr. Robert C. Seamans Jr., who was deputy administrator of the space agency in the Apollo period, "at long last, we know we were right". It should be clear the Soviet Union succeeded in covering up a space program involving thousands of people and kept it from the world for three decades. Conover’s own reference clearly states this. Why in one circumstance cite a reference claiming that thousands of people couldn’t keep a secret for decades, and yet just moments later cite another reference stating that they can and did? Did Conover even read Wilford’s article? Did he think none of his viewers would pause the video to do a quick Google search on his references? Clearly, Conover simply cherry-picks whichever source is convenient to his argument at a given time – even if one contradicts his entire argument. This is either extremely sloppy or intentionally misleading. And such misdirection carries on into his next argument. The major problem with this claim is the word ‘independent’. Again, Conover shoots himself in the foot with his own reference. He cites an interview with Valeriano Claros-Guerra published on ESA’s website on 15 July 2009. Claros-Guerra was the Operations and Communications Supervisor at the Maspalomas Tracking Station, which was part of NASA’s Manned Space Flight Network (Fig. 21). As stated above, there were two groups of NASA associates involved in the handling of Apollo telecommunications: the Manned Space Flight Network (MSFN) that received the radio signals; and the Mission Control Center (MCC) to where the MSFN forwarded these transmissions. Some of the tracking facilities were also part of the NASA Deep Space Network (DSN), such as the Madrid Deep Space Communications Complex (MDSCC). ESA: How did your work at the NASA Manned Spaceflight Network station at Maspalomas in 1969 involve Apollo? Claros-Guerra: I was just a contract employee, but we were fully trained by NASA. I was sent to the Network Test and Training Facility, at NASA Goddard Space Flight Center, Greenbelt, Maryland, USA, to learn basic aspects of how NASA tracking and communications equipment worked. We, the local engineers, had very good theoretical knowledge of space flight communications, but we had no hands-on experience. The NASA people really helped. In my main role, I oversaw the communication connection between us and Houston, linked via London, UK (until NASA funded the first Intelsat satellite communication station in Spain, also at Maspalomas). We picked up the Apollo crew's voice signal from the Moon and sent that on to Houston, so we could monitor what the astronauts were saying. It was all based on analogue technology, very little was digital as of yet, so the quality was not always perfect. But it worked. ESA: What was your role for the first Moon walk? Claros-Guerra: For the Apollo 11 Moon landing and first Moon walk, Maspalomas station was the real-time, 'hot' back-up for the MSFN station at Fresnedillas, Madrid. On 19 July 1969, I pulled shift on the management console, controlling the circuits going back to the US. I was on shift from 1600 to 2400 UT - the astronauts were just getting ready to exit the lunar lander when I finished, so there was no way I was going home! I stayed to see what happened and the first step was taken at 02:56 UT, 21 July. I also helped monitor the controllers' voice communications between Spain and Houston; the circuits were sometimes very noisy and the Houston guys all spoke with Texan accents, so it was important to have extra 'ears' to make sure we understood their instructions (emphasis added). Clearly, there is nothing in this interview to imply or even suggest that Spanish scientists tracked Apollo independently. They were NASA employees and NASA contractors. If you are employed or contracted by an individual or organization, then by definition you are not independent of said individual or organization. Claros-Guerra’s interview also says nothing to imply that Australian scientists tracked it independently. The only mentions of Australia are some passing statements about Australian facilities that became part of ESA’s Deep Space Antenna Network in the 1990s, long after the Apollo program ended. The interview does not even refer to facilities like Parkes and Honeysuckle Creek, which incidentally were also part of NASA’s MSFN [C. Mackellar, 2003]. In fact, if you were to go to such Australian facilities such as Honeysuckle Creek, Tidbinbilla and Canarvon, you’ll find the NASA logo prominently displayed – clearly indicating who owns the facilities (Fig. 23). Parkes is an exception, as it is owned by the CSIRO. But nonetheless, its operations during Apollo were overseen by NASA employees and NASA contractors and it was considered an auxiliary antenna to the Honeysuckle Creek Station and given the honorary title of the MSFN Station #23 [J. Sarkissian, 2000; C. Mackellar, 2003]. I have lived in Australia my whole life, and I can assure you that even to this day that this is still how these facilities operate. Today the Tidbinbilla Tracking Station, Parkes Observatory and the decommissioned Honeysuckle Creek Station form the Canberra Deep Space Communications Complex (CDSCC). They are run by NASA and the CSIRO. The CDSCC, together with the Goldstone Tracking Station in California (Fig. 25) and the aforementioned MDSCC, make up NASA’s Deep Space Network. The CDSCC’s affiliation with NASA is common knowledge to Australian television viewers. Whenever there is a new deep space adventure underway, be it a new mission to Mars, Jupiter, Saturn, Pluto or wherever, the Australian media’s go-to guy for news is CDSCC spokesman Glen Nagle. Or as the media often calls him, “Mr. Glen Nagle from NASA’s tracking station” or “NASA’s Man Down Under”. The association between NASA and these Spanish and Australian scientists should be common knowledge to the rest of the world. Yet somehow this myth of their ‘independence’ from NASA persists. Where did this myth come from? Figure 25: The Goldstone Deep Space Communications Complex in California. Again, part of NASA's Deep Space Network. Since they are indeed tied to NASA, these facilities cannot be cited as independent verification. They were NASA facilities tracking NASA spacecraft. And thus if they were part of a conspiracy, it should come as no surprise, given this fox-guarding-the-henhouse scenario. But, as was the case with MCC, many within the MSFN and DSN also need not be in on the conspiracy. Now Conover doesn’t specify which English scientists tracked Apollo independently. And his Claros-Guerra reference says nothing about this. But fortunately, we don’t need to second guess who he is talking about. The Jodrell Bank Observatory in Manchester, UK, is often cited as independent verification (Fig. 26). For once, this observatory is indeed not affiliated with NASA and they did report picking up signals from Apollo, albeit only when the spacecraft were within 1,000 miles of the Moon, and not the full trip there and back [Bob Pritchard, personal communication with Bennett & Percy]. But transmissions from Apollo are not the only signals they received. Figure 27: Artist’s rendition of Zond 5 on its voyage around the Moon. On September 19 and 20, 1968, Jodrell Bank reported having detected the voices of cosmonauts Pavel Popovich, Valery Bykovsky and Vitaly Sevastyanov coming from the Zond 5 spacecraft as it looped around the Moon [D. Campbell, 2017; Fig. 27]. At face value, that may appear to prove that Russia sent cosmonauts around the Moon. However, with Zond 5 this wasn’t the case. The USSR had simply sent an unmanned Soyuz on a circumlunar trajectory. The cosmonauts were safely at the Crimean Command Center in Ukraine the whole time. Through a combination of prerecorded messages carried aboard the capsule and the cosmonauts radioing their voices to the spacecraft which acted as a repeater, the Soviets made it look as though they had sent the first manned mission around the Moon. When we realized we would never make it to the moon, we decided to engage in a little bit of hooliganism. We asked our engineers to link the on-the-probe receiver to the transmitter with a jumper wire. Moon flight missions were then controlled from a command centre in Yevpatoria, in the Crimea. It should be clear that many in the West initially thought the spacecraft was manned, but it was officially revealed not to be the case. Therefore "picking up transmissions" doesn't prove that NASA sent manned missions to the Moon. And if they wanted to fool actual independent people with the technology to receive transmissions from space, an American equivalent to Zond 5 is all that would be needed to relay voices, television transmissions and other pieces of flight data. It has been demonstrated by Bart Sibrel and Bennett & Percy respectively that the Apollo 11 crew remained in Earth orbit. I believe to maintain continuous contact with the relay probe, at least three geostationary relay satellites would also be needed to maintain contact. Such 'cross-linking' as it is known was established in the late 1960s by NASA and the US Department of Defence for communication between spy satellites [D. Ewen, 2003]. CONOVER: …and the Russians, our space race rivals, who had every reason to prove us wrong. As explained in the previous section, the Russians fooled the US into thinking that Zond 5 was the first mission to send man around the Moon. If the US pulled a similar fast one with Apollo, the Russians would be none the wiser. Therefore, the only way the Russians could "prove us wrong" would be to cry foul on Apollo by citing the radiation hazard. Figure 29: Sir Bernard Lovell, founder and director of Jodrell Bank Observatory, sits in his office overlooking the radio telescope named in his honour. The failed N1 rocket launches are often blamed for the Soviets never sending a man to the Moon, but that doesn’t explain why they never crewed the Zond with its proven flight worthiness. In fact, the Proton rockets and Soyuz spacecraft used in the Zond program are still in service today. And a rectified version of the Moon rocket called the N1F was ready for launch in 1974 but never flown [M. Wade; D. Scott & A. Leonov, 2005]. The Energia rocket used to launch the Soviet Space Shuttle, Buran, also had lunar applications and was capable of lifting the N1’s payload of a LOK Soyuz, LK Lander, and Blok D crasher stage. But it was never used for lunar missions. The real reason why the Soviets never sent a man to the Moon can be traced back to 1963. During his visit to the USSR, Sir Bernard Lovell (Fig. 29) met with the President of the Soviet Academy of Sciences Mstislav Keldysh. And it was during this meeting that Keldysh explained to him that the Soviets were postponing manned Moon missions indefinitely until they could find a way to shield their cosmonauts against solar flares. Keldysh instructed Sir Bernard to relay these concerns to NASA, which he did in a letter to NASA’s Deputy Director Hugh Dryden. I couldn’t find a copy that letter, nor do I know if that letter was ever published. But the details of this meeting were documented in two New Scientist articles by Sir Bernard Lovell himself [1963; 1964] and at least five secondary sources citing what he said [CIA, 1963; H. Young et al. 1970; R. René, 1992; M. Erickson, 2005], including the Bulletin of Atomic Sciences, which contained an article of their own citing Sir Bernard [R.S. Lewis, 1967] and even reprinted his New Scientist articles. by James Trager which documents the US-USSR wheat deals of 1972 and the implications that continued in the years to follow. It is important to note that the Soviet spacecraft hulls had a higher shield rating than Apollo. This was in order to accommodate a sea level cabin pressure vs the low pressure pure oxygen used in American spacecraft. And thus the Soyuz capsules were already more heavily shielded than Apollo. So if the Soviets could not prove Apollo was a hoax with radio transmissions, the only way practical way to blow the whistle would be to reveal that the radiation was too hazardous. But this would also shoot themselves in the foot. Suppose they blew the whistle on NASA and then decided to dupe the world with another Zond 5, this time without revealing it was unmanned. Who would believe them when they previously declared the radiation hazard made the Apollo missions impossible? The only life forms ever sent to the Moon were radiation extremophiles like turtles [M. Kozlova, 2002], insects, bacteria [B. Owens] and spiderwort plants [S. Ichikawa, 1972]. 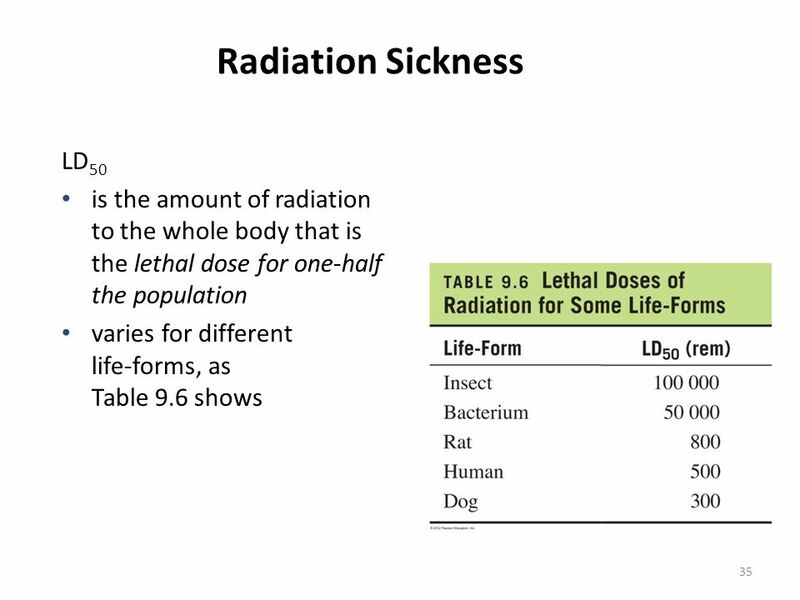 Life forms that can harmlessly absorb huge amounts of radiation that would be lethal to humans. They were carried aboard the Zond 5 mission [M.E. Bakich, 2000]. And as far Russia being the US’s rivals goes, the US had been selling wheat to the USSR during the Kennedy administration through to the early 1970s. President Kennedy had sold as much as 10 million to 15 million tons to the USSR in 1963 [Time, 18 Oct 1963], one of the most controversial moves during his administration. Such sales continued throughout the Apollo program. Between 1965 and 1971 the total industrial and agricultural exports to the USSR were worth $589 million, $160 million of that amounted to US-USSR grain deals in November 1971 alone [CIA, 1998]. The biggest wheat deals were in 1972 [National Review, 27 Oct 1972; C.B. Luttrell, 1973], which have since became known as The Great Grain Robbery (Fig. 30). Ralph René believed these wheat trade deals were Russia’s price for silence. It’s no different to current political climate of America turning a blind eye to China’s human rights atrocities while the two countries continue free-trade deals. Since 1975, the relationship between the US and the Russians has gone far beyond just a wheat deal. Beginning with the Apollo-Soyuz Test Project, which saw the first docking between Apollo and Soyuz, the US and Russians officially became space collaborators (Fig. 31). The ASTP paved the way for various joint space projects that followed. Famous examples include the Mir space station which the US shuttle visited (Fig. 32), and the current International Space Station project involving not only the ‘space race rivals’ but many other foreign space agencies. Even to this day the US pays Russia for astronaut rides on the Soyuz. Russia has little to gain by blowing the whistle on NASA. 3: Tangible evidence? What tangible evidence? After talking his way around inconvenient facts and quote-mining his various sources, Conover then gets to what is probably his only excuse for his Modal Scope fallacy involving ‘millions of laser lights’. GIRLFRIEND: But where’s the tangible evidence that we went to the Moon, huh? There isn’t any. CONOVER: Actually, there is. While the astronauts were on the Moon, they laid out a reflective material called “retroreflector”, so today when an observatory aims a high-powered laser at the Moon, it bounces right back. This statement is accompanied by a skit showing a stagehand pointing one of the lasers – allegedly required for simulating sunlight – at the reflector deployed by the astronaut on set, promptly causing him to get zapped in the face by the reflection. What follows is a skit of an enraged Kubrick shutting down production, which leads to the girlfriend character desperately trying to get the production crew to reconsider. With pathetic statements like "we need to invent CGI beyond its time and we need to get millions of people to lie on our behalf." Essentially reiterating all the false dilemmas that Conover has created throughout the episode. The last thing the girlfriend character says as the crew walks off set is that we need to “Somehow get retroreflectors to the Moon without actually going there.” The only amusing thing about this statement is the fact that it has already been done! Much the same way the Soviets made cosmonaut radio transmissions apparently come from the Moon without sending cosmonauts there, they also landed retroreflectors on the Moon without cosmonauts. In 1970 and 1973, the Soviets landed the Lunokhod 1 and 2 rovers on the Moon. These were radio-controlled vehicles that deployed a vast number of scientific experiments. Including the deployment of retroreflectors which are still in use to this day (Fig. 33). In addition, a second pair [of retroreflectors] were built by French scientists and flown to the moon by the Soviet Union on their robot Luna probes. This is yet more cherry picking. The fact remains that retroreflectors have gotten to the Moon without astronauts in tow and radio signals can be transmitted to an unmanned lunar craft. And frankly, if you are going to go to all the trouble of pulling the American version of the Zond 5 hoax on the world, why not also go to the trouble of having this relay mission also deploy a retroreflector? Ironically enough, the retroreflectors allegedly deployed by astronauts were originally intended to be deployed by NASA’s unmanned Surveyor lunar landers! The episode’s entire segment on Apollo only lasted about five minutes. But of course, a five-minute segment doesn’t make a whole episode. Despite the running gag of the episode being Conover trying and failing to convince his girlfriend character that the Apollo missions were real, the rest of the episode is not even remotely related to the subject. Figure 34: Bill Kaysing (left) sued Jim Lovell (right) for defamation in 1997. For the remaining twenty minutes, Conover goes off on tangents. His girlfriend character says that her views on Apollo are not hurting anybody. Upon which, Conover travels back in time to the 1980s during the Satanic Panic, to make a case that conspiracy theories are hurtful to people. The Satanic Panic was the spreading of false rumours across the United States. Such rumours included false allegations of satanic rituals, blood sacrifices and even sexual molestation of children in daycare centers and preschools. These rumours led to many false arrests and lawsuits, which were eventually thrown out of court. The only trial relative to Apollo that springs to mind is the trial brought by Bill Kaysing against Jim Lovell (Fig. 34). However, that ultimately wasn’t about the Apollo hoax so much as it was about the ad hominen attack perpetrated by Lovell on Kaysing (Fig. 35). It followed an initial meeting with Kaysing and subsequent correspondence between them on the matter of the Apollo Moon landings. After which Lovell had publicly stated in the San Jose Metro that Kaysing was “whacky”. Lovell also erroneously insinuated that Kaysing believed Apollo was a hoax simply because he saw Capricorn One, a fictional movie that in fact had borrowed heavily from Kaysing’s book – mainly changing the premise to a faked Mars mission. At which point Kaysing sued Lovell for libel. To put the Kaysing vs Lovell event into perspective, Kaysing had even extended an olive branch to Lovell, giving him thanks and kind words in a letter before the Metro article was published (Fig. 36) but apparently it’s all right to use an ad hominem defence for the action of an organization: when the case came to court in September 1997 Lovell’s lawyer got a dismissal on the grounds of ‘freedom of speech'. For reasons unknown, Bill [Kaysing] didn’t present my four page rebuttal which consisted of copies of Liar Lovell’s letter to me and its envelope (Fig. 37), [and] the fact that he denied knowing me […]. Instead, Bill handed in 22 pages of drivel. The summary was granted! If astronauts were indeed hurt by Apollo hoax theories, one would have thought it would have been the other way around: astronauts suing questioners for libel. Interestingly, even Aldrin’s extreme ire over Bart Sibrel’s assertions that Apollo was a hoax, didn't lead to a lawsuit. Although Sibrel did attempt to sue Aldrin for assault, not conspiracy charges, but the judge threw the case out. Again, who are the ones getting hurt here? Attempting to draw parallels or imply any similarities between the Apollo hoax movement and the Satanic Panic is called 'Appealing to Equality'. The logical fallacy of deeming an assertion to be true or false based on an assumed pretense of equality to something else, when in fact there is no equality. And if others were hurt by the Apollo hoax, it would have to be those on the inside during the Apollo program who dared to speak out and suffered as a result. Like Thomas Ronald Baron (Fig. 38) of North American Aviation, the company that built the Apollo command module. Baron produced a 57-page report of many safety violations and malpractice that went into the construction of Apollo 1. After the fatal fire, this was expanded into a 500-page report. Baron lost his job when he voiced his criticisms of the Apollo program to the press. During his testimony before Congress, he reiterated many of his criticisms and claimed that witnesses told him that minutes, not seconds, went by from the first mention of fire to the moment the capsule ruptured. One of these witnesses, Al Holmberg, later denied this. A few days later, Baron and his family were killed when his car was hit by a train. Figure 37: Jim Lovell's reply to Bill Kaysing, which he carbon copied to Ralph René and later denied knowing. One person that was near said that the spacesuits would protect them from the heat until they could get out. A short conversation then took place concerning how long and how much the suits could protect them from the fire. Also comment was made on why no one had entered the White Room as yet. During the time of this conversation the White Room was still clear and the Astronaut’s (sic) motion still visible. And let’s not forget the astronauts who were killed in the fire (Fig. 39). Gus Grissom was NASA’s key candidate to be the first man on the Moon, and yet he too was badmouthing the program. He went so far as to hang a lemon on the Apollo module as a visual expression of what he thought of it [B. Grissom & H. Still, 1974]. In the United States, non-roadworthy cars are referred to as ‘lemons’. He also voiced his lack of confidence in the Apollo program to the press, reporting that Apollo had a 1 in 3 chance of being successful (Fig. 40). Then was burned to death in the Apollo 1 fire along with Edward White and Roger Chaffee. Figure 39: From left to right, astronauts Virgil "Gus" Grissom, Edward White and Roger Chaffee, crew of the ill-fated Apollo 1 mission. Grissom was on record for criticizing the Apollo program and was later burnt to death in the module with his crew. Figure 40: Newspaper clipping from the March 11 1966 Southern Illinoisan, covering Grissom’s report that computers predicted the Apollo landings had a 1 in 3 chance of success and that the Moon landing would end in failure. Clearly not one of Conover’s lines of reasoning regarding Apollo is based in reality. His entire argument against the Moon landing hoax is based on false dilemmas and fallacies of necessities and fabricated representations of his own references. While the remainder of his video has nothing to do with Apollo at all. At no point in any of Conover’s ramblings and wild proposals about using lasers and CGI to fake the Moon landings was he even close to presenting a rational counter argument. Was this supposed to be a serious rebuttal to the Moon landing hoax? Or should we have paid closer attention to the fact that it was categorized as 'comedy'? At this point, I feel the need to address what you’re probably thinking. "Of course you should have paid more attention to the 'comedy' categorization. He’s just a comedian! He’s trying to do observational comedy!” There’s nothing wrong is observational comedy. And I have no point of contention with the use of observational humour. In fact, I personally know quite a few people who make a living from observational humour. But let’s familiarize ourselves with examples of what actual observational comedy looks like. GEORGE CARLIN: I don’t vote because I believe if you vote, you have no right to complain. People like to twist that around, I know. They say “well, if you don’t vote, you have no right to complain.” But where’s the logic in that? If you vote, and you elect dishonest, incompetent people and they get into office and screw everything up, well, you are responsible for what they have done. You caused the problem. You voted them in. You have no right to complain. I, on the other hand, who did not vote, who in fact did not even leave the house on election day, am in no way responsible for what these people have done and have every right to complain as loud as I want about the mess you created that I had nothing to do with. However, the people who laughed at George Carlin also laughed at Bozo the Clown. We didn’t laugh at Bozo because he was ‘telling it like it is’ and or intelligently satirizing while criticizing. We laughed at Bozo the Clown simply because he was doing something goofy. Well that’s exactly what we have with Adam Conover and Adam Ruins Everything. The series is an ongoing train wreck of nonsense based on misinformation. It is not just his episodes on conspiracy theories, immigration and electric cars that have come under fire. A quick search on Google or even YouTube reveals a large number of segments have been met with heavy criticism. These include Conover’s alleging that Alpha Males don’t exist [Angry Asian, 2017; TurdFlingingMonkey, 2017]; that gamers predominantly believe that video games are only for men [Rags, 2017; somethingguy912, 2017]; and his implying that scientific testing on lab mice is flawed or invalid [M.T. Nguyen-Kim, 2017 (in German)]. The Zond 5’s biological payload of extremophiles are the test subjects Conover should have gone after if he wanted to make a case against animal testing incomparable to humans! The list of debunked episodes is endless. And it is important to note that in all of these debunked episodes, many of Conover’s errors can be attributed to two typical foibles: cherry picking and misrepresenting his own references, and creating fallacious arguments. When he has to twist and distort factual information and articles written by real scientists and researchers to create flawed episodes that are implying easily debunked claims, and then use those distortions as a launch pad for a series of forced jokes and overacted skits, it’s no longer in the realm of observational humour. It’s just downright blatantly false information dressed up as facts and science. It is not these forced jokes we are laughing at. It is his tenuous grasp of comprehending and representing his own references, and the flawed conclusions he attempts to draw from them. Metaphorically speaking, Adam Conover is not George Carlin when he implies that we need millions of lasers to recreate sunlight on the Moon, he is Bozo the Clown. Jarrah White has Certificate III & IV qualifications with distinctions in Screen and Media at the Sydney Institute of TAFE NSW, Australia. He is currently doing his BSc with a double Major in Astrophysics and Geology. Jarrah completed all core subjects to satisfy a Major in Geology in December 2017. After talking about the Satanic Panic for a third of what is supposed to be a Moon Hoax episode, Conover then alleges that all “conspiratorial thinking” is the result cognitive mistakes and cognitive bias. What he calls “the human brain’s faulty wiring”. While this is outside the scope of a Moon hoax discussion, I feel compelled to address it. As this entire segment is essentially an ad hominin attack attempting to discredit the messenger by casting aspersions on their credibility, rather than evaluate the message and its evidence on its own merit. Conover tries to reinforce this preconceived notion with more cheesy graphics and overacted skits. He muddies, not just the Apollo hoax, but conspiracy theories in general with truly crazy ideas. Namely Roswell alien theories, Flat Earth nonsense, Global Warming denial, Elvis Presley still being alive, wacky theories concerning the disappearance of Malaysian Airlines Flight MH370, and anti-medication paranoia. Strangely, even credible and proven conspiracies are lumped in with in with this nonsense. Such as voting fraud. Confirmed cases of voting fraud include the 2000 US Presidential Election, in which thousands of Florida democrat votes were discarded in order to throw the outcome of the election in George W. Bush’s favour [M. Moore, 2004; R. Greenwald, 2004]. Amazingly, earlier in the episode during one of his many overacted skits, Conover gave credence to the Trump-Russia collusion during the 2016 election! What possible excuse could Conover have for such blatant inconsistency with his arguments? CONOVER: And that’s why conspiracy theories tend to form around large terrifying tragedies. For example, when JFK was assassinated it was such a random and horrific event, people couldn’t believe it was the work of just one man. […] But when Ronald Reagan was shot, there were no prominent conspiracy theories. Why? Because Reagan didn’t die. This made the event less shocking. Which made it easier to accept the consensus explanation. Actually, the reason why no one believed the failed Reagan assassination was a conspiracy is more compelling and straightforward. It has nothing to do with the fact that Reagan survived and more to do with clear visual evidence. John Hinckley Jr was within two meters when he pulled the trigger, and did so in full view of the press who had video cameras rolling. It’s kind of hard to doubt who was responsible for the crime when it's been caught on camera [Fig. 41]. Figure 41: US President Ronald Reagan waves to the press, unaware of the impending danger. Would-be assassin John Hinckley Jr can be seen in the photo. He is the man in the crowd on the right in a yellow-brown coat. Video and photographic evidence of this failed assassination attempt provided more than enough evidence to eliminate room for conspiracy theories concerning this crime. On the other hand, John F. Kennedy was killed by a sniper, or snipers. By definition, a sniper is a gunman who shoots from a hiding place. Usually by putting distance and altitude between himself and his target. And thus the assassin or assassins committed the crime out of view of the press. Kind of leaves it open to interpretation. And conspiracy theories involving the JFK assassination stem, not from cognitive biases, but largely from witnesses who reported hearing gunshots from locations other than the Book Depository, including Nellie Connally who was adamant to her death that her husband had been shot by a bullet separate from the two that hit Kennedy, thus contradicting the Warren Commission’s findings [BBC, 2006]. Abraham Zupruder, the videographer famous for capturing the footage of Kennedy getting shot to death, also contradicted the Warren Commission’s findings. Zupruder testified that his initial reaction was that the gunman was located somewhere behind him. Because when Kennedy’s head exploded, it recoiled away from Zupruder [Warren Commission Hearings, 1964]. Conspiracy theories involving the JFK assassination also stem largely from the inability to accurately recreate the multiple non-lethal wounds that have been attributed to a single bullet. Kennedy had two non-lethal bullet wounds. One in his back and one in his throat. Governor Connally seated in front of him had a gunshot wound in his back, chest, wrist and thigh. These wounds were all attributed to Oswald’s second bullet, because the first missed the motorcade entirely while the third hit Kennedy in the head. The American Broadcasting Company and Anatomical Surrogates Technology produced a documentary titled JFK: Beyond the Magic Bullet, in which they attempted to recreate the shot using the Carcano rifle and simulated torsos standing in as Kennedy and Connally. These torsos consisted of artificial bones and resin acting as soft human flesh. While they succeeded in having the bullet pass through the two torsos, the bullet entered “Kennedy’s” back and exited through his chest. Not his throat [Fig. 42]. Figure 42: Anatomical Surrogate Technology's attempts to prove the plausibility of the "Magic Bullet" Theory ironically backfires. Their test shows the bullet exiting the Kennedy dummy's chest and not his neck, thus demonstrating the implausibility of the theory [Image: American Broadcasting Company]. In addition, Traffic Games released JFK Reloaded for Windows in 2004 as a means of debunking JFK conspiracy theories. The game puts the player in control of Lee Harvey Oswald and tasks them with recreating his alleged three shots with 100% accuracy. However, the developers programmed the game with unrealistic ballistics, which overemphasized the effects of a bullet from a Carcano and made it easier for the player to win. When you have to alter physics to try and prove your critics wrong, you know you’re in trouble. Even with that advantage, the highest score ever recorded was only 782 out of 1,000. And ironically enough, just weeks after Adam Ruins Conspiracy Theories was aired, the Trump White House suppressed the release of classified documents concerning the Kennedy assassination [ABC, 2017]. If Conover cannot even get right something as simple as why no one doubted the official story concerning the failed Reagan assassination attempt, I cannot imagine why anyone should take him seriously again. The only thing he has ruined is his credibility. A.R.E. (2017) "Adam Ruins Everything – Why the Moon Landing Couldn't Have Been Faked"
S. Ichikawa (1972) "Somatic Mutation Rate in Tradescantia Stamen Hairs at Low Radiation Levels: Finding of Low Doubling Doses of Mutations", The Japanese Journal of Genetics, Vol. 47, No. 6, pp411–421. 1. Popovich’s memory appears to somewhat be in error. Lyndon Johnson was President of the United States during the Zond 5 mission, not Richard Nixon. 2. Actually, Borman's trip to the USSR was about 11 months after Zond 5. 3. Gary W. Propst was apparently not informed that, unlike Mercury and Gemini, Apollo 1’s hatch could not be jettisoned explosively.